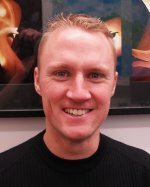 Craig completed his PhD (software engineering) in the School of Engineering and Computer Science at Victoria University of Wellington in 2013. Craig was supervised by James Noble and Stuart Marshall. Craig is a member of the Elvis Software Design Research Group. More information can be found on Craig's Homepage.